I’ve spent the last twelve (!) months focused on my 2016 word: ENGAGE. I dedicated every weekly yoga practice to it. I meditated on it. I focused on that word so intently it feels a little like abandonment to move to a new word for 2017. But if I’ve learned anything from choosing a word for the new year instead of “resolutions” the last three years, it’s that these words become so much more than words. They seep into you as values, and they build on each other. Instead of hopping from one word to the next, these choices are creating a foundation for the way I want to live my life. They’re all connected. Moving into 2017, I’m pumped for CONNECT. Connect can have so many meanings. And it’s hard to argue that connection may be one of the single most important feelings we can experience. We are in a brand new part of the country, that admittedly, I don’t know a lot about. I need connections here, and to do that, I have to be the one to connect. (Bring on the new PNW gal pals!) No one is going to do that for me. Since I am now far away from most friends and family, I also need to pay more attention to keeping those connections strong. At home we are both busy working demanding full-time jobs, so making sure to connect after work is a new priority for me. I need to remember to connect to myself, to not let work or other things come before taking care of myself. The opposite is also true, there is some peace to be found in “disconnect”, to find the importance in feeling a little unplugged at times. Disconnecting to these types of distractions when I can will help me connect. I feel a little like the word connect right now, with so many ways it can be used, on the precipice of just relocating to this amazingly beautiful place where I have the power to be a connector, to find a deeper connection to nature, to be the connecting link in setting up a great life where there are so many options. Connect has a circular theme, it will allow me to build stronger connections with people and the person I want to be that are unbreakable. Constantly connected. 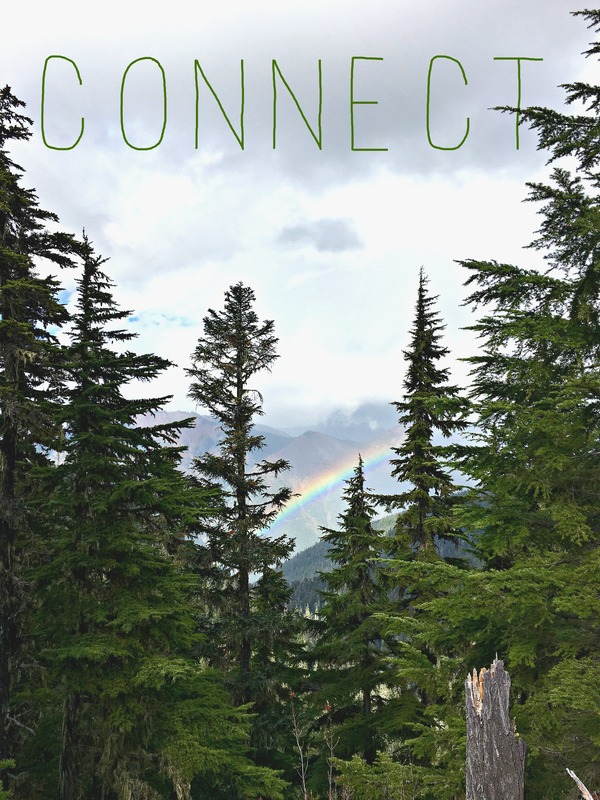 Moving physical locations doesn’t break that connection, which is something I had to learn the hard way the past year and is part of what helped me choose connect for 2017. Engage helped me ground myself in my quiet, re-engage with Missouri, and engage in real love. Engage was the perfect springboard for getting me out of my comfort zones so that I can connect to what I truly want. Connect will help me fly, feel, radiate, and promote the positivity all this change 2017 can, has, and will bring. Next Post A self help post for my tiny crumb of the interwebs: do better.